The upcoming Suzuki Burgman Street 125 launch is around the corner and as per the media reports, is scheduled for 19th July. Currently, it is the flagship automatic scooter for Suzuki. It will sport a maxi-design, rarely found in any scooter in India. The price estimated for the scooter is around Rs 65000 to Rs 70,000. The upcoming and much awaited Suzuki Burgman Street 125 launch is happening on 19th July. The scooter is currently very important in Suzuki’s scooter lineup, which consists of a small portfolio of models. It sports a maxi-design with large front apron, making it a showstopper in India. It is derived from the Burgman Series available globally. In the international market, the scooter is sold in different engine options. Burgman in India will enter the 125cc scooter segment, which is already quite growing. Expect the scooter to get decent features according to its competition. The price expected for the scooter is around Rs 65,000 to Rs 70,000, which usually is the price of other 125cc scooters. Moreover, it might revive Suzuki’s average play in the scooter segment. Earlier, Access and Swish contributed much to its growth. Now, as most of the buyers also prefer some stylish scooters, Access has a simple plain design. The scooter was recently spied testing during some TVC shoot. It was earlier unveiled at the 2018 Auto Expo. The global Burgmans also get identical body elements, but they get one extra feature of ABS. The Indian version is not going to get this safety feature. The scooter gets a 125cc single stroke engine that produces 8.7 BHP worth of power and 10.2 Nm worth of torque. It runs on a CVT transmission. Basically, it will get the same engine specs of the Access 125 with an air-cooling system. However, it is likely to be much heavier than the Access. The mileage of the scooter is expected around 50 KMPL on an average. It will get a total fuel capacity of 5.6 Litres and reserve capacity of 1.5 Litres with a riding range of 250 Kms. 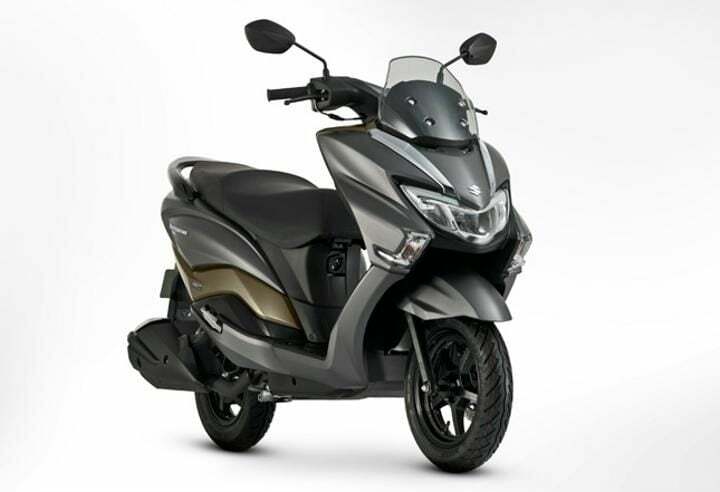 The features of the Burgman Street 125 include a Fully Digital LCD Instrument Cluster, LED headlamp unit, charging socket, multi-functional key, Front Disc Brake, Large Apron and Windshield and a Bigger Storage Box in the front. After Suzuki Burgman Street 125 launch, it will face competition with TVS Ntorq 125, Honda Grazia, Vespa SXL 125, Mahindra Gusto 125 and Aprilia SR 125. Currently, Grazia and Ntorq are the main frontrunners of this segment. Currently, the bookings for the scooter is open at various dealerships for a token of Rs 5,000. Expect the scooter to be priced in the range of Rs 65,000 to Rs 70,000, the usual prices for 125cc scooters.